So you need something blue. 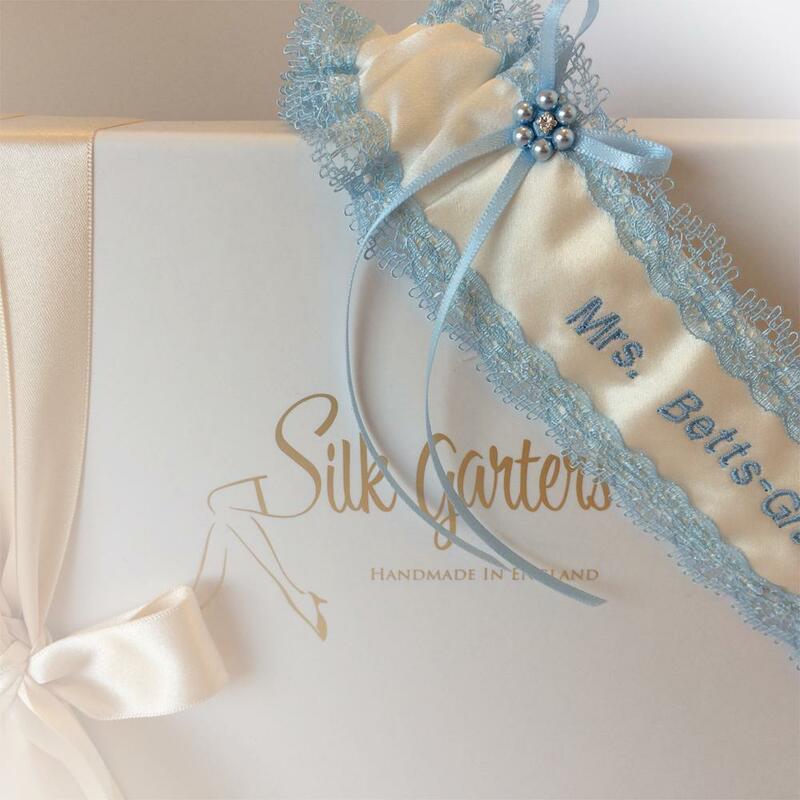 Have your new married name in blue embroidery on your wedding garter! Our picture shows 'Mrs Betts' embroidered in cornflower blue. Luxurious pure silk for your wedding garter with lace trim in pale blue and a pretty Swarovski crystal pearl blue flower. You can add your wedding date at £4 extra. Totally romantic.....As seen in Perfect Wedding Magazine! NOTE: The winter light made the silk in these photos look creamier than it is. It's ivory. Add exact lettering, a maximum of 18 letters and spaces per line. Please phone if you need more lettering, we may be able to help. Also remember you can replace 'and' with '&' giving you an extra two letters. ONE SIZE. Fits leg girth 14"-22"
PLUS SIZE available 20"-26", 27"-34"